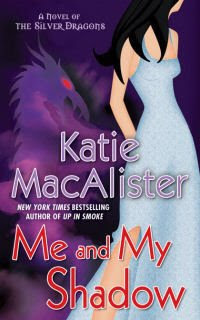 Me and My Shadow is the third Silver Dragons book in Katie Macalister's paranormal romance series. According to Amazon.com it comes out December 10, 2009 (or hopefully November as she says in her newsletter). May Northcott is a woman at the end of her rope. She’d almost gotten used to her employer, the ex-demon lord Magoth, spending his days hanging around her home and interrupting her private moments with her dragon lover Gabriel. Then trouble appears in the form of a nearly dead man on her doorstep. 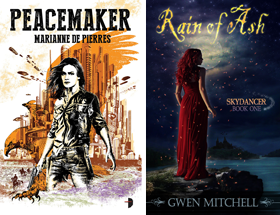 With May fighting to control the dragon shard, Magoth wrangling to regain his position and powers, and a mysterious and deadly dragon bent on their destruction, Gabriel has his work cut out for him. Now, he’ll have to claw his way through all the distractions and convince May that their love is strong enough to conquer all of their enemies.